The Canadian legacy carrier Air Canada inaugurated the first of three new, non-stop domestic services from BC communities with the departure of AC1976 from Kamloops to Toronto. Tomorrow, Air Canada will inaugurate new non-stop seasonal services from Victoria to Montreal, and from Nanaimo to Toronto. 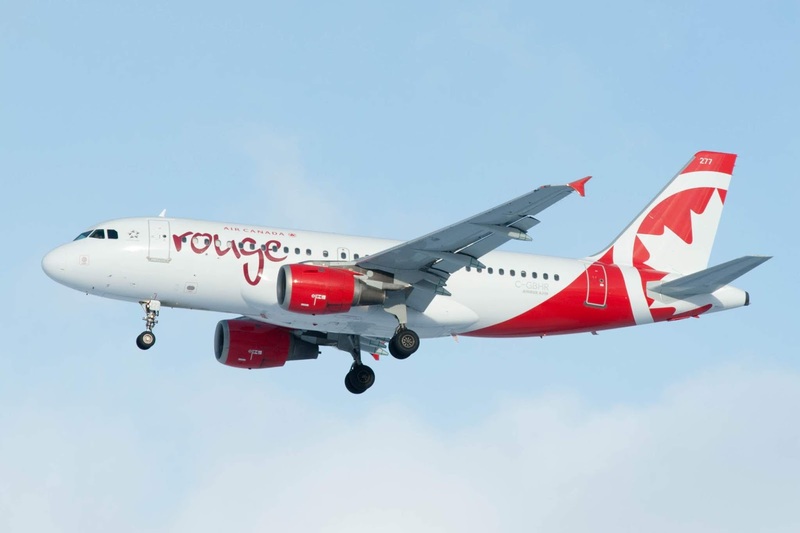 These newest domestic long-haul services are operated onboard the airline's leisure carrier Air Canada Rouge, which will be celebrating its fifth birthday on July 1. "We are very pleased to launch the only non-stop services from Nanaimo and Kamloops to Toronto, and from Victoria to Montreal in time for the busy summer travel period. The convenience of these new services makes it easier than ever for customers from other parts of our network to travel to beautiful British Columbia's Vancouver Island and Thompson Okanagan areas. Customers from Nanaimo, Victoria and Kamloops now have the convenience of non-stop flights to Toronto and Montreal, where unparalleled connecting options are also available throughout our far-reaching North American and global network," said Benjamin Smith, President, Airlines and Chief Operating Officer at Air Canada. "As Mayor of Kamloops and President of the Kamloops Airport Authority, I am delighted that Air Canada is offering this enhanced level of service to our community and our region. I encourage air travellers to make use of this east-west direct connection so that we can prove to the carrier that Kamloops and area is a solid investment," said Mayor Ken Christian, City of Kamloops. "This new direct flight between Montreal and Victoria is excellent news for our two cities. It will allow for greater and more streamlined exchanges, both personal and business. I would like to congratulate Air Canada, who has been steadily increasing direct flights from Montréal. These initiatives position our city as a true economic, political and tourism hub," said Montreal Mayor Valérie Plante. "Air Canada's investment in Victoria and our region with new non-stop service to Montreal will open up more opportunities for local businesses and our tourism industry. It puts us within easy reach of more international markets and is one more sign of the confidence companies have in our growing economy," said Victoria Mayor Lisa Helps. "I am sure the citizens of the entire central Vancouver Island area are excited they will be able to fly directly from Nanaimo to Toronto. The growth and the opportunities presented by the expanded Nanaimo Airport are limitless. Thanks to Air Canada for having confidence in YCD and delivering this much desired service," stated Mayor Bill McKay, City of Nanaimo. These routes are part of Air Canada's strategic expansion of 25 new routes being launched during the 2018 summer season. Air Canada Rouge A319 aircraft offer high-speed wi-fi services and a choice of two cabins. All flights are timed to connect conveniently with Air Canada's global schedule and provide for Aeroplan accumulation and redemption, Star Alliance reciprocal benefits, and for eligible customers, priority check-in, Maple Leaf Lounge access at mainline airports, priority boarding and other benefits.